This image of Franklin—working in London to secure Britain’s hold on America—is at odds with the usual picture of a great American patriot and Founding Father. Yet, for the better part of two decades, Franklin called London home. Furthermore, during a full four-fifths of his very long life, Franklin was a loyal British royalist. He was not alone in this. Until the Stamp Act, most Americans had no conception that they would ever be separated from Britain. Indeed, many of our Founding Fathers initially set out to assert their rights as Englishmen. Even as late as 1774, Thomas Jefferson, the chief framer of the Declaration of Independence, used a collection of English Civil War pamphlets when he “cooked up a resolution … to avert us from the evils of civil war.” Franklin himself stayed in London right up to March 1775, in an increasingly desperate search for a peaceful settlement. 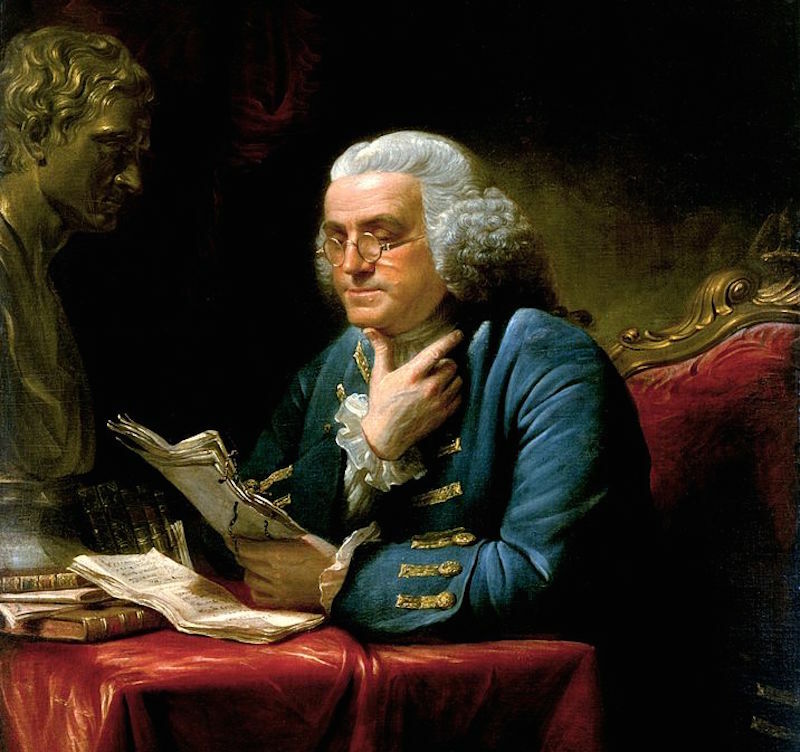 The Franklin who returned to America at the age of 20 had the self-confidence bred from talking on equal terms with men such as Sir Isaac Newton’s co-author, Dr. Henry Pemberton, and Bernard Mandeville, whose Deist book The Fable of the Bees was the publishing sensation of the time. In the decades that followed, as he built his own profitable printing and publishing business in Philadelphia, Franklin founded or co-founded some of America’s greatest surviving cultural institutions, including the Library Company, the American Philosophical Society, and what was to become the University of Pennsylvania. He gave them intellectual foundations built on what he had learned and discussed in London and centered on the philosophy of men such as Bacon, Locke, and Newton. By 1757, Franklin had become a leading member of the Pennsylvania Assembly and was chosen to return to London. His ostensible mission was to open negotiations with Thomas Penn and persuade Pennsylvania’s absentee proprietor to pay at least some local taxes. However, Franklin in London was much more than a Pennsylvanian representative. During the late 1740s and early 1750s he had thrown himself into groundbreaking scientific research, which he published as Experiments and Observations on Electricity, Made at Philadelphia in America. This won him the 1753 Copley Medal (the 18th-century equivalent of the Nobel Prize) and a fellowship of the Royal Society. It also transformed his social standing. He was famous. This son of a poor tallow chandler was embraced by a British aristocracy enthralled by science and particularly keen on the sizzle of electricity. Celebrated in London, he was also renowned across Europe, with the great philosopher Immanuel Kant describing him as “the Prometheus of modern times.” Franklin dined with kings, had access to prime ministers, and was friends with philosophers and great men of science such as David Hume and Joseph Priestley—as well as with the rascally James Boswell and infamous Francis Dashwood of the Hellfire Club. Franklin appreciated his British life from his home in London’s Craven Street, just south of the Strand. This house is the only one of all those in which Franklin lived that still stands today and has just celebrated its 10th anniversary as the Benjamin Franklin House museum and education center. Franklin enjoyed a strong platonic relationship with its owner, Mrs. Stevenson, who was not so much a landlady as the manager of his London household. But he also missed the comforts of home, upbraiding his wife Deborah for failing to send his favourite Newtown Pippin apples and thanking her for dispatching such American delights as buckwheat cakes, cranberries, and “Indian meal.” Deborah was of more use to Franklin back in Philadelphia, managing his affairs there as well as sending him treats. It was an arrangement that suited him far more than her. It was only then, at the age of nearly 70, that he discarded his loyalty to the British state and became a fierce advocate of American independence. Yet even as an American patriot, Franklin once again returned to Philadelphia with British enlightenment values that influenced his fellow Founding Fathers. Having arrived in London with two slaves, Franklin now supported calls for abolition. Though he did not convince Thomas Jefferson on that matter, he did on others. Jefferson’s choice of portraits for his entrance hall at Monticello is instructive. In the most prominent position are three of Franklin’s own British influences: Bacon, Newton, and Locke. There is also a fourth. It is of Benjamin Franklin. George Goodwin is the author of the just-published Benjamin Franklin in London: The British Life of America’s Founding Father. He is author in residence at Benjamin Franklin House in London and was a 2014 International Fellow at the Robert H. Smith International Center for Jefferson Studies, Monticello. 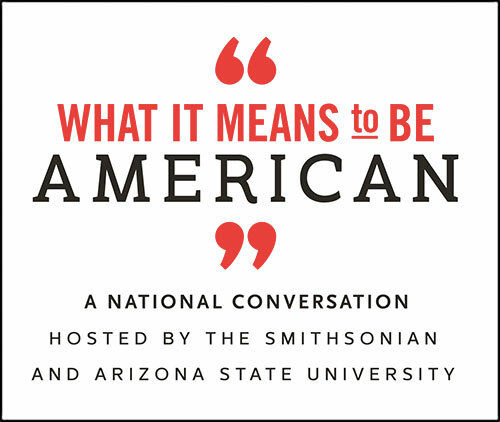 This essay was written for What Part of the American Soul Is Still British?, a special package of stories from What It Means to Be American, a national conversation hosted by the Smithsonian and Zócalo Public Square. Buy the book: IndieBound, Barnes & Noble, Amazon. Primary editor: Siobhan Phillips. Secondary editor: Andrés Martinez. *Photo courtesy of Wikimedia Commons.